There are several policies at the continental and global level aimed at supporting women in the security sector. As leaders gather this month for the African Union (AU) Summit under the theme of women empowerment and development, the time is right to ask what has been achieved in Africa. The AU’s Framework on Security Sector Reform calls for adherence to the principles of gender equality and women’s empowerment. The UN Security Council adopted Resolution 1325 in 2000, which aims to protect women during conflict, prevent sexual and gender-based violence, and promote women’s role in the security sector. More than a decade later, are women any better represented in the security sector? What makes it difficult to create a gender sensitive culture, and what is the current situation of women in combat? 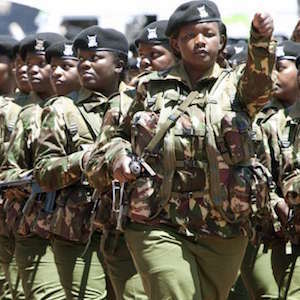 This seminar analyses the extent of gender mainstreaming in the security sector in Africa. It focuses on the Kenyan Defence Force and provides insight into what it means to be a woman living on the frontlines in the eastern DRC.